You are told to set goals because they’ll help you achieve great things. But no one tells you exactly how you are supposed to get from Point A to Point B successfully. Well, that’s about to change. 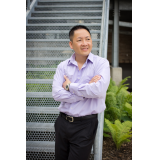 Wanny Huynh, popular motivational speaker and author of The Five Laws to Wealth, Success, and Happiness is back again, this time tackling life’s adversities with How to Overcome Anything: Go from Rock Bottom Straight to the Top in 10 Steps. Wanny’s story is one of inspiration. He shares incredible hardships his family endured and subsequent struggles he faced in life in order to demonstrate no obstacle is ever too big to overcome. No roadblock is without a detour and he is here to show you the way. 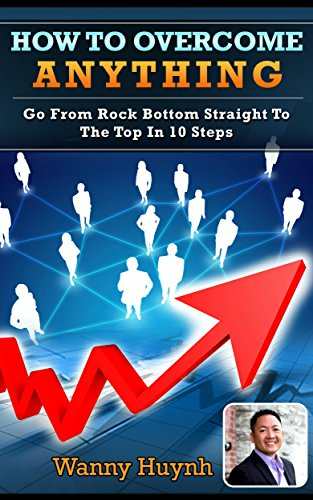 The author explains each of the ten steps between Point A and Point B and gives you two simple action items needed to accomplish that leg of your journey. No more writing down destinations and taking off blindly. 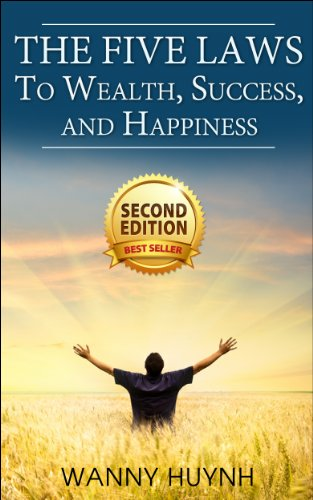 Consider this book a Goal GPS that can be turned on no matter where in life you want to go. Get ready to develop skills that turn your dream–big or small–into an achievable event. It isn’t an overnight process, as some may lead you to believe. It takes effort, but you are the pilot and will be the one who determines how fast and how high you climb. Squash your critics with one simple word. Watch your fears disappear one by one. Find out how serving your community is serving yourself. Discover how your passion can be turned into abundance. Are you prepared to think and act like a champion? Get SMART, take action, and triumph when you learn How to Overcome Anything: Go from Rock Bottom Straight to the Top in 10 Steps.